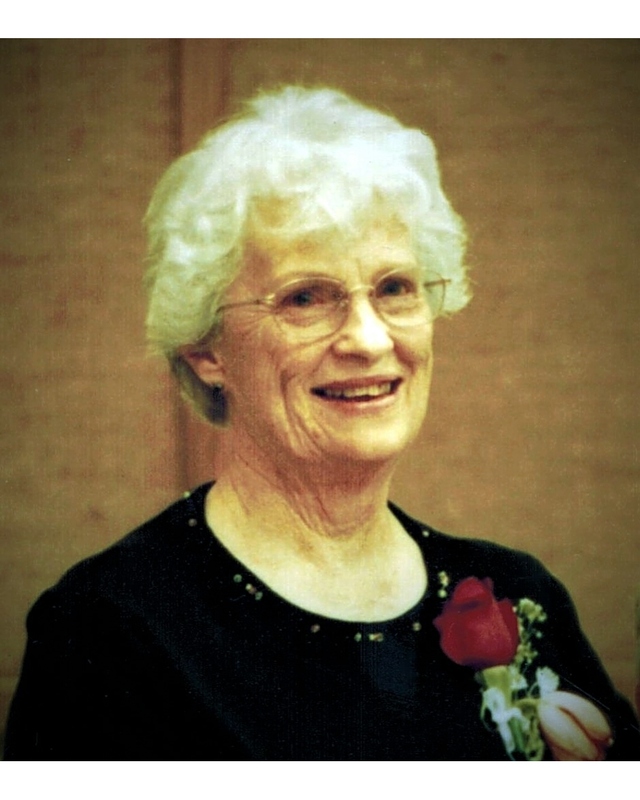 Darlis Arlene Robinson, 83, of Adrian, Oregon passed away on August 20, 2018 in her daughter’s home in Caldwell, Idaho. Darlis was born April 19, 1935 in New Plymouth, Idaho to Curtis Wendell Hull and Wilda K Sims. She was the oldest of 3 children. Darlis met Joe Robinson when he moved to Parma, Idaho, and they quickly became high school sweethearts, Darlis graduated in 1953, and after waiting another year for Joe to graduate, they were married for time and all eternity in the St. George LDS Temple on May 25, 1954. They moved several times in their early married years. In 1971 they settled in Adrian, Oregon and remained there for 47 years. They are the parents of 7 children -- Laren, Calvin, Bruce, Ranae, Larae, Curtis, and Kayla. Darlis is preceded in death by her parents, her brother, Ben Hull, and a great-grandson, Carter Schanz. She is survived by her husband, Joe Ell Robinson, her sister, Myrna (John) Holsclaw, her children, Laren (Cindy) Robinson, Calvin (Rebecca) Robinson, Bruce (Shana) Robinson, Ranae (Sid) Ballantyne, Larae (Kevin) Liddle, Curtis (Marie) Robinson, and Kayla (Ron) Carroll, 41 grandchildren, and 71 great-grandchildren. Services will be held Tuesday, September 4, 2018 at 11:00 a.m. at the Owyhee Ward Chapel of the Church of Jesus Christ of Latter-day Saints, 848 Owyhee Ave., Nyssa, Oregon, with a viewing from 10:00-10:45 a.m. Interment will follow at the Owyhee Cemetery next door to the Church. Services are under the direction of Relyea Funeral Chapel in Boise.